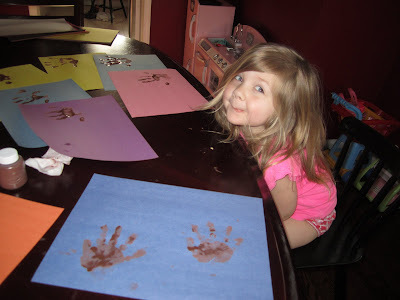 The kids calmly make black hand prints next to each other on a piece of construction paper. 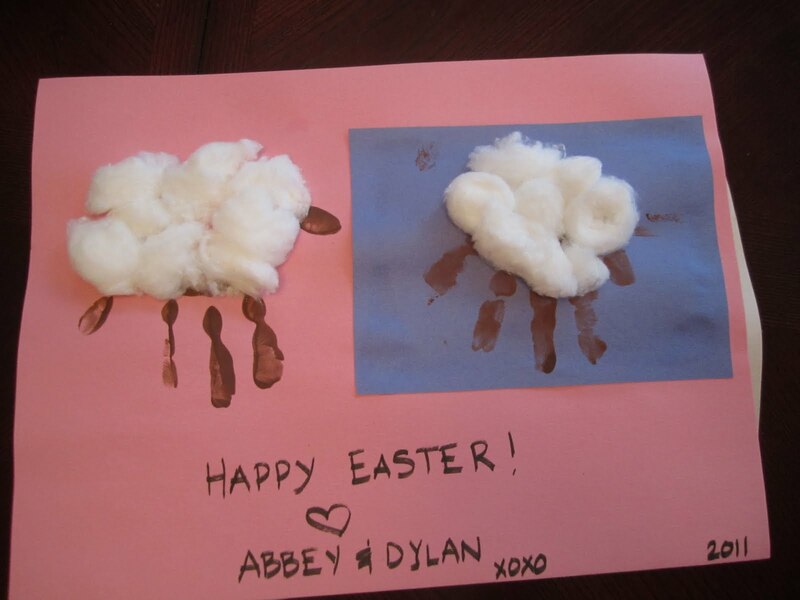 We later glue on puffs of cotton to form little lambs, a small one for Dylan's hand and a larger one for Abbey's hand. The Detroit Institute of Arts knocks on the door wanting the frolicking lambs to exhibit in a prime position near the other artistic geniuses of the past and present. I can't find black Crayola paint and try to make my own using black food coloring. That makes some strange greenish-grey color, so our lambs are going to have brown legs and heads. 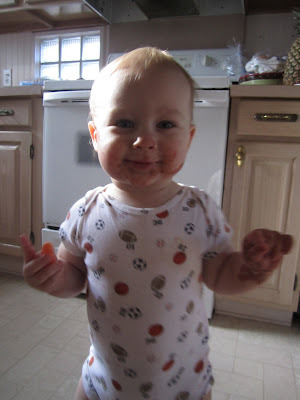 Dylan gleefully dips his little hands into the paint and then refuses to open them to make handprints, until he decides to make them all over his legs. And his face. And the table. Abbey calmly makes her handprints, and I hurry to press Dylan's little hands onto other pieces of construction paper that we will later cut out and glue next to Abbey's handprints. 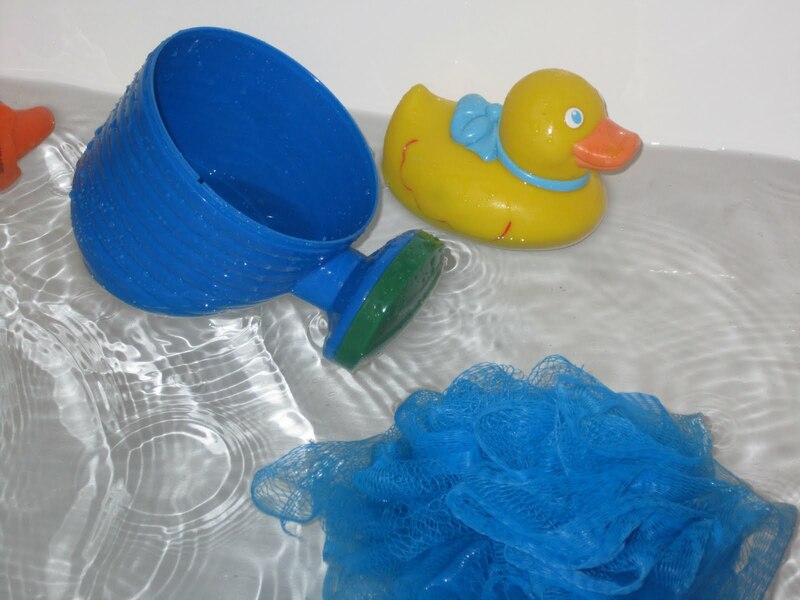 We hurry upstairs for an impromptu morning bath. Dylan tries to eat puffs of cotton. I let him, thankful that he is staying away from the glue. I wish I would have made coffee before starting the craft. Caffeine would have helped. Abbey loses interest when I put the cotton away, and I finish cutting out Dylan's lambs and gluing them next to her lambs. The DIA has not yet approached us about adding us to their world-renowned collection. This is so cute and typical at my house too! Oh my goodness..how cute are they??? My kids would not even let me take pictures of them and their outfits this whole weekend were adorable. 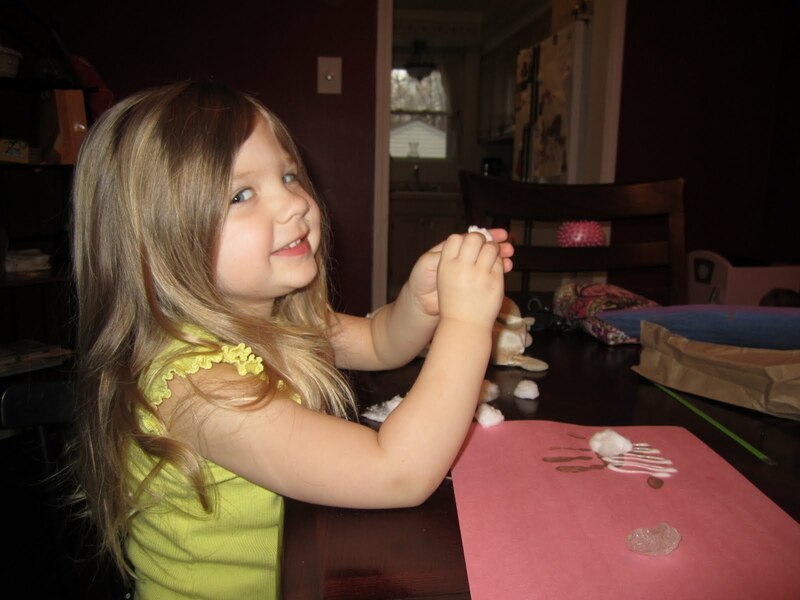 I give u a lot of credit for even trying to do a craft...I am so happy that daycare/school takes care of that for me. LOL. For all the mess? That's an AWESOME craft! Nicely done! I like to think the mess is part of the fun :) Dylan sure does!